Mix your flour with a little salt and pepper. 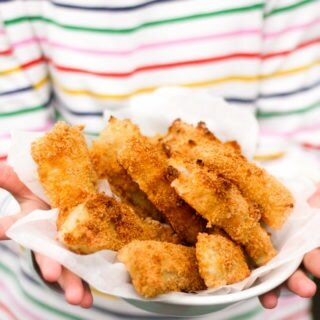 Take your fish fillets and one at a time, dip into the flour, then the eggs and finally the breadcrumbs. Place on your lined baking tray. Bake for 20 minutes until golden and cooked through.